Bristol is a tragically underrated hen party spot, living in the shadows of big, buzzing metropolis’ like Liverpool and Manchester. We think it’s about time Bristol got its moment in the spotlight, so here’s your Bristol Hen Party How to Guide! 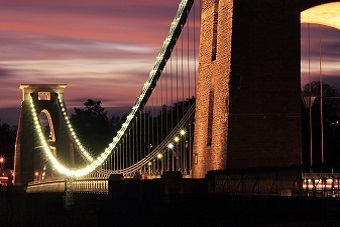 Bristol has a thriving nightlife, full of amazing bars & clubs for you and the girls to lose yourselves in. The first major club on our list goes by the name of Popworld, a club that takes you back to the 80’s/90’s. It’s the ultimate throwback club, with a retro discotheque aesthetic to give you an awesome rush of nostalgia. Pryzm is a classy club with a fancy, modern aesthetic. It has 3 areas, Opus, Velocity and Disco, each with their own vibe and music genre, as well as a bar downstairs where you can go for a quiet drink. With events running throughout the week, there’s always something different going on, not to mention the excellent drink selection, including 2-4-1 on cocktails and great deals on Jägerbombs. Get fast track entry and private booths for the populer Pryzm! Less queing, more partying! Next, two of our most popular hen party ideas in one fab bundle, the cocktail making and Dreamboys male strip show is a great night guaranteed. Cocktail making has you making your very own custom cocktails in the trendiest bars in Bristol, all with the help of an experienced bartender. You’ll learn how to mix, muddle and shake with the best of them, before enjoying your drinks in private booths. That should get you in the right mood for the Dreamboys show, an unforgettable hen party experience. See the hot hunks up close with front row seats and a free photo session afterwards, where you’ll get to meet and greet the boys and enjoy their lovely perso­nali­ties. You can book in a bundle or separately, it’s all up to you, but we think you’d be mad to miss out on either of these awesome hen party activities. Don’t be fooled by its humble reputation, Bristol is the place to be for an unforgettable hen party. Follow our Bristol Hen Party How to Guide for a night you'll be talking about for years to come.